ISCPO Chainman Byron Smith kicked off the second day of the conference with opening remarks and reflections from day one. The attendees share some great feedback on day one’s events. The first session of the day was the panel discussion on Global Fulfillment lead by Rod Fulenwider with panelists Glenn Master with Pitney Bowes, Howard Stone with Amazon and Bill Atwell with Neiman Marcus. Our second session had Stephen Tracy with the USPIS discuss the Fentanyl, Opioid and Precursor Chemical Smuggling Schemes out of China which sparked a great deal of conversation with the attendees. Gene Maddox III, Sr. Manager International Security & Corporate Security (HDQ) with American Airlines shared with the attendees Ecommerce Partnerships during our third session of the day. The conference’s final session of the day had Terry L. Boling, President of Watchpoint and MJ Giorgi, VP of Development of Watchpoint cover Loss Prevention Vs. Loss Reaction: Utilizing Data and Controls to Impact Investigation. Chairman Smith invited the Board of Directors to join him on stage to help close out the 2019 conference. 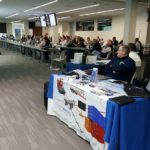 The possibility for break-outs sessions at future conferences was encouraged by the attendees and group meeting opportunities to review growing safety issues were a couple of points raised. Smith also shared the social media platforms that ISCPO uses today and reviewed the new podcast program launched in 2019. He thanked the solution providers and the attendees for their participation and expressed that he felt this was the best conference to date for the organization. 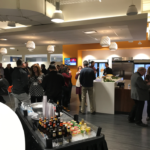 Over 30 attendees took advantage of the Amazon Fulfillment Facility tour and the ISCPO Team thanked Amazon for allowing the attendees the opportunity to see behind the scenes. 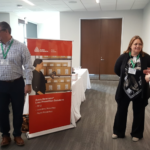 Big thanks to the 7-Eleven SSC for hosting the 2019 ISCPO Conference! See you in March 2020 for #ISCPO2020. We thank all our participating sponsors for coming out to educate and network with the attendees. ISCPO 2019 is Now in Session! After a great evening of food, drink and live music at the cocktail meet and greet, Chairman Byron Smith kicked off day one with opening remarks, thanking the solution providers and attendees for joining the 2019 conference. 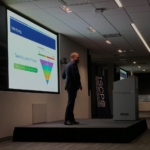 He addressed where the organization is heading in 2019, with a focus on eCommerce Security. Watch for future webinars and podcasts. 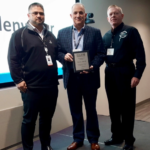 Byron took time to thank former Chairman Rod Fulenwider for his leadership during the past two years and he was recognized with the ISCPO Award of Excellence. Rod also surprised the audience by presenting Smith with the 2018 Chairman’s Award with the assistance of his direct supervisor Art Lazo, 7-Eleven’s VP of Asset Protection. Keynote Speaker, Albert Shen make a big impact, sharing with the attendees the Mobility Revolution, Smart Cities & Global Perspectives. Our next speakers Heather Nickerson with Red Five Privacy Labs and Paul Kurtz with Tru-Star addressed Cybersecurity in the Supply Chain. Larry Kivett with Deloitte Risk & Financial Advisory shared Fraud in the Supply Chain – Fraud/Analytics. Bill Mathis, the Operational Security Specialist with Daimler North America presentedAutomotive Manufacturing Security. Our final session, Labor Shortages in the Supply Chain was shared by Rustin Tonn, Regional Human Resources Manager with Pitney Bowes. The ISCPO present the Loss Prevention Foundation with a donation of $2,000.00 for the Loss Prevention Benevolent Fund. Find out more about the program. As part of our Executive Roundtable Interview Series, we sat down with industry veteran Wayne Hoover, CFI, Senior Partner, Wicklander-Zulawski & Associates. Wayne has personally conducted over a thousand interviews and interrogations on incidents ranging from arson to theft over the last 27 years. He also helped create the Certified Forensic Interviewer (CFI) designation that holds interviewers to a higher standard of obtaining the truth. In this capacity, he oversees all the divisions of CFIs, of which there are over 1800 CFIs around the world, as well as the members of the International Association of Interviewers. An active ISCPO board member, he provides a unique perspective when it comes to setting best practices in interview and interrogation techniques. We asked him to share his take on where the industry is going in combating crime and how LP practitioners can effectively work with law enforcement to mitigate loss. ISCPO: How has the industry evolved since you started out, especially related to how technology aids in interviewing/investigations? When I started in 1991, I had no interviewing experience whatsoever. WZ taught me from the ground up in all things interviewing. Luckily, we were ahead of the curve in that we video recorded every interview we conducted. I knew as soon as I got back to the office, I would be sitting down with my peers to review the interview. Once I started training others, I noticed we were unique in regard to the recording of the interviews. Many people were sent to our seminars and approved to do interviews after attending with no follow up to help them get better. This has always been a concern for us as trainers, and recently the technology has enabled us to start to provide the opportunity for interviewers to go online and practice interviewing without the legal liability that happens in real life situations. Now using Artificial Intelligence and coaching, an interviewer can practice over and over in different types of scenarios and different type of personalities to get better. The Link has been instrumental in providing feedback for interviewers to take the knowledge they learn in a seminar and then to implement with feedback, in the same manner, I learned so many years ago. In the same area, we noticed an attack on interviewing from many different sides, both internally and externally. We had already seen the change from the Polygraph being a tool in helping solve cases to being pretty much eliminated from the polygraph act of 1989. That led to the creation of the Certified Forensic Interviewer (CFI) designation. This created a designation that held interviewers to a higher level of professionalism, with the idea that interviewers will hold themselves through the association to that higher standard to then press that forward to others in our field before we saw legal changes being forced to the industry. While those are some changes, I am still perplexed that the recording of interviews is still a minority in both the private and public sectors. I also still see people doing interviews without any real accountability, whether it be through mentorship or certifications. Interviewing is an area of the profession that can have the highest legal ramifications and many people do not even know the regulations/laws that apply to them. Like anything, when it goes bad, that is when people start asking what we can do different, that is too reactive in my opinion. While I have seen a lot of changes over my years, we still have a long way to go to establish standards and consistency in our profession. ISCPO: Can you share the best techniques to conduct an effective interview and/or interrogation? There have been several changes over the years regarding interviewing. An interviewer hopefully realizes there is no one way to interview that is always going to be successful. An interviewer must remain flexible to case facts, personalities, and the goals of the conversation. The 3 main techniques that we use currently are the WZ Non-Confrontational Method, the Participatory Method and the Cognitive Interview. The Cognitive Interview is a great way to obtain information from a victim, witness or suspect. It is a way to obtain more information through the technique. Studies show much more information is obtained using this technique that can help gather information that can be useful to a case. The Participatory is useful when trying to gather information that will give the interviewer an idea of the person’s understanding of a process, policy, or to obtain an alibi. We find this technique to be beneficial as part of investigation. The WZ Non-Confrontational Method is used mainly on an individual when you are trying to obtain a truthful account of their involvement with a situation. It works across many case types, personalities and environments. As the name says, it is very non-confrontational, rapport driven, while treating an individual with dignity and respect. ISCPO: Given your depth of experience, what are the top three tips LP professionals should remember when working with Law Enforcement when conducting interviews/investigations? This seems so basic to me, obviously understanding what their job is and how it differs from yours, but also the similarities. Your job is to protect the assets of your company…their job is to protect the assets of the community in which they serve. Obviously similar jobs. Police deal with laws and some policies, you deal with policies and some laws. Out of respect, understanding the laws and policies of the other is beneficial to all involved. You have a boss to answer to, and so do they. Difference is your boss is within the actual organization. Theirs is within their organization, but also within the prosecutor’s office, and then a judge’s courtroom. I believe you can take the three tips from my answer. Respect, understanding, and know the laws that your case involves. This helps remove any animosity and thoughts of any side feeling superior to the other. ISCPO: What are the biggest challenges facing supply chain protection & security professional, specifically around how Ecommerce has changed the landscape of criminal behavior? Every person may feel differently from their experience and I will give a brief idea of the areas that come to mind. I could expand on these greatly, but I believe everyone can see the point just by me mentioning them. I find the proliferation of cell phone cameras, cyber, and even GPS being a concern for Ecommerce. While these things are all beneficial in everything we do during an investigation, they are also used by the criminals in a way that makes our job more difficult. One area that is overlooked is the Vendor Fraud of this part of the business. Many relationships are created without proper investigation upfront. I think many would be shocked if they ran a state report on their vendors to find how many have been classified as irresponsible partners and even forbidden to do work within federal, state and local governments. 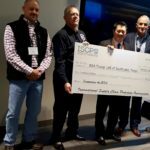 Why did you participate on the ISCPO board? I have followed ISCPO since it was created and was always impressed with their goals, uniqueness and leadership. Last year I attended the conference for the first time and that solidified how I felt about the ISCPO. I am always trying to expand my knowledge and I believe this group can provide that continuing education in an area that I would like to know and understand more. On the other side, I believe I have some experiences that I can add value to the board and the membership. 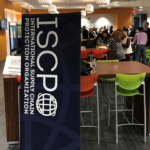 The International Supply Chain Protection Organization (ISCPO) welcomes Liz D’Aloia, Brian Flannery, and Wayne Hoover to its Board. Dallas, TX (Jan 16, 2019) – FOR IMMEDIATE RELEASE – The International Supply Chain Protection Organization (ISCPO.org) announced today three new additions to its Board of Directors: Liz D’Aloia – CEO of HR Virtuoso Company, Brian Flannery – Sr. Director of Loss Prevention with Ulta Beauty and Wayne Hoover, CFI – Senior Partner at Wicklander-Zulawski & Associates. Liz D’Aloia is the founder of HR Virtuoso Company. Based in Texas, HR Virtuoso provides a mobile recruiting software system that helps companies optimize their employment application processes and increase their candidate pool as well as HR and employment law consulting services. Prior to launching HR Virtuoso, Liz rose through the ranks of transportation, retail, and mortgage companies as a Senior Employment Attorney and VP of HR. She holds a BA from Hampshire College and a JD from Brooklyn Law School. She is admitted to practice in Texas, New York, New Jersey, Florida, and Kansas. Liz is a nationally recognized blogger, speaker, and HR practitioner. 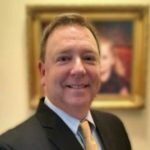 Also joining the ISCPO Board is Brain Flannery, currently the Sr. Director-Loss Prevention for ULTA Beauty, with oversight of the Supply Chain Loss Prevention, Enterprise EHS & HazMat, Corporate Security and the Business Continuity lines of business. Brian began his career serving in law enforcement in Fayetteville, NC. He transitioned into the private sector in the mid-`80’s where he began his career in security, investigations and loss prevention. As his career progressed, Brian held leadership positions responsible for risk management, loss prevention, business continuity, environmental health, safety and HazMat, strategic and tactical planning and regulatory compliance with several Fortune 100 companies. The third member joining the ISCPO Board is Wayne Hoover. He is currently the Senior Partner, Wicklander-Zulawski & Associates and has personally conducted over a 1,000 interviews and interrogations on incidents ranging from arson to theft over the last 27 years. He was directly responsible for the supervision of the firm’s investigative division. He also helped create the Certified Forensic Interviewer (CFI) designation that holds interviewers to a higher standard of obtaining the truth. In this capacity, he oversees all the divisions of CFIs, of which there are over 1,800 CFIs around the world, as well as the members of the International Association of Interviewers. “Wayne will provide global experience and best practices in supply chain investigation and we’re looking forward to sharing with our members Wayne’s insights in dealing with individual and departmental education. As a recognized industry leader in continuing education and professional certification, ISCPO members and its board will greatly benefit from Wayne’s vast knowledge,” says Smith. Wayne has spoken numerous times as a Keynote Speaker at many conferences for both the private and public sectors–from the National Retail Federation Loss Prevention Conference & annual meeting, FLETC to the ISCPO Annual Conference and the ACFE Conferences. In addition, he has presented lectures as a guest instructor at police academies, colleges, and professional associations and company meetings in the United States and Internationally. He is responsible for overseeing Wicklander-Zulawski instructors who conduct over 500 presentations and seminars internationally in the public and private sector every year. 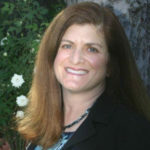 Since 1982, Wicklander-Zulawski has trained over 200,000 individuals around the globe on the non-confrontational interview and interrogation techniques. Dallas, TX (Jan 9, 2019) – FOR IMMEDIATE RELEASE – The start of the new year brings about some exciting changes with ISCPO’s Leadership and Board of Directors. Byron Smith, CFI and LPC who has served as Vice-Chairman for the past two years, will assume the Chairman role. 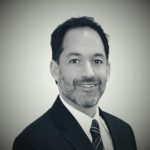 Presently Corporate Asset Protection Manager at 7-Eleven Byron is a veteran asset protection professional with 29 years’ experience building LP and Risk Management teams for various retailers including Eckerd Drugs, Office Depot, Circuit City and 7-Eleven. His experience has specialized in directing regional and corporate asset protection/loss prevention, distribution/logistics, risk management, as well as safety and corporate security. 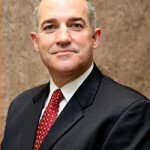 Byron has been an active member of other organizations including the LPRC where he serves as a Board of Advisors, RILA where he is involved with the Asset Protection Steering Committee, and he has also held board member positions with The Houston Crime Stoppers and The Texas Retailers Association. The ISCPO’s Annual Conference convenes March 6, 2019, in Dallas, TX. 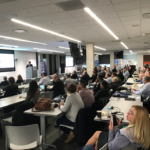 The two-day summit will feature a wide range of speakers, from both private sector and public law enforcement including American Airlines, Deloitte, Amazon, Daimler, and Pitney Bowes who will share how they’re staying ahead of the curve when it comes to mitigating risk and loss across their supply channels. With Ecommerce now immersed across the global supply chain, LP and security professionals will learn how to be proactive in leading security transformation within their organizations. “The ISCPO’s mandate in 2019 is to focus on Ecommerce and to explore how it’s changing the LP landscape. As we incorporate an array of digital tools and real-time transportation technology to move goods through the global supply chain, how can we,as LP and security professionals be proactive in leading security transformation within our organizations? What tools do we use to maintain transparent chain-of-custody in the Ecommerce lifecycle from the initial buying process and the shipping of goods to returns,” adds Smith. To that end, the ISCPO will continue to drive needed standards in Ecommerce transportation security via its Carrier Security Audit & Certification program, an industry certification awarded to “final-mile” third-party logistics carriers who meet the ISCPO Carrier Security Requirements, a combination of successfully achieving compliance of industry standards, risk management processes and universal controls between customer and service provider. Other Board appointments include Wes Bank with DHL, assuming the Vice-Chairman role. 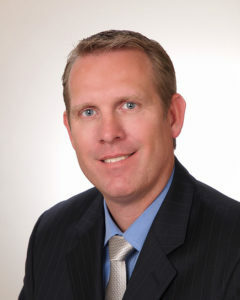 Wes Bank, LPC is currently the Director of Loss Prevention for DHL Ecommerce, overseeing risk management, government regulatory, audit, investigations, and physical security. Wes has been an active ISCPO Member for several years and chaired the committee that developed the ISCPO Carrier Security Requirements, the foundation of the ISCPO Carrier Security Audit & Certification program. 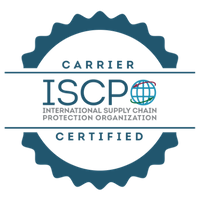 He was instrumental in contributing to a successful launch of the program last year, with several carriers now carrying the ISCPO Carrier Certified seal. 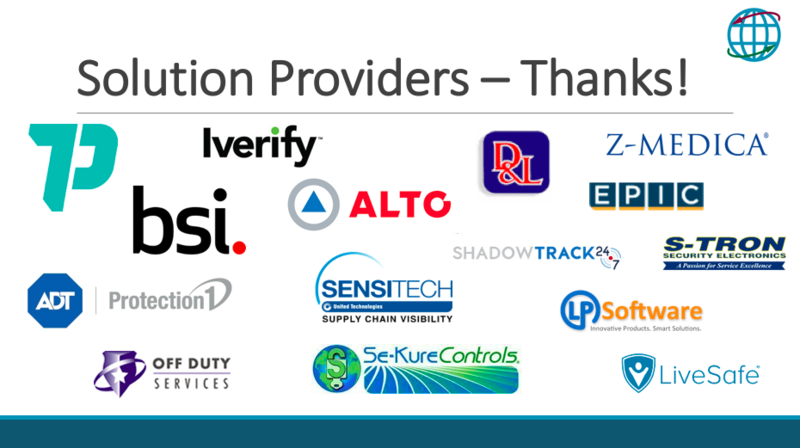 Carriers receive designation after undergoing a comprehensive due diligence process and analysis of various security standards necessary to ensure the integrity of goods flowing through the carriers and their clients’ extended supply chain. 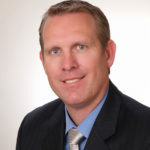 A Loss Prevention practitioner since 1990, Wes previously held Loss Prevention management roles with Velocity Express, Office Depot and Jewel-Osco. He served on the Loss Prevention Foundation’s certification committee during the early development of the Loss Prevention Qualified (LPQ) and Certified (LPC) programs and had been a participating member of Merchant Risk Council, RILA and InfraGard. 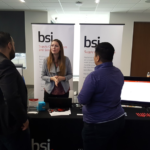 The International Supply Chain Protection Organization’s annual conference brings together loss prevention, security, and protection professionals working within the global supply chain for two days of networking, education, and collaboration. 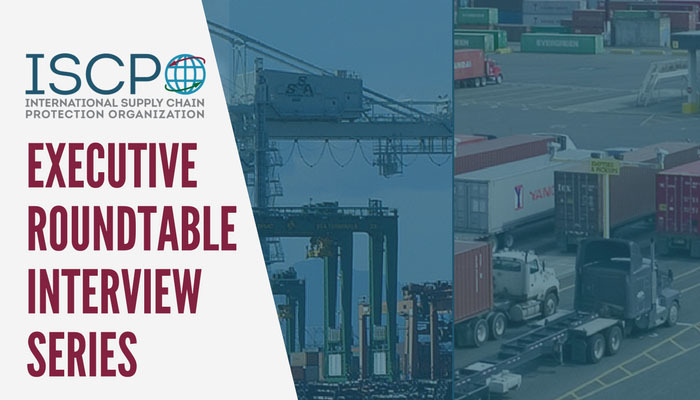 Dallas (November 26, 2018) – FOR IMMEDIATE RELEASE – The International Supply Chain Protection Organization (ISCPO) is pleased to announce its 5th annual conference is open for registration at ISCPO.org. The conference will be held March 6-7, 2019 in Dallas, Texas where ISCPO members and loss prevention professionals will hear from industry veterans and get the latest trends in supply chain security, industry theft, global trends, and investigation. The two-day conference will feature a wide range of speakers from both private sector and public law enforcement. Sessions will tackle issues currently affecting the global supply chain and how their companies are focusing on delivering their products and services in a digital world. Speakers from an array of Fortune 500 companies including American Airlines, Deloitte, Amazon, Daimler, and Pitney Bowes will share how they’re staying ahead of the curve when it comes to mitigating risk and loss across their supply channels. In addition, industry experts and the public sector will be represented. There will also be sessions outlining the ISCPO Carrier Security Audit & Certification program. The industry certification is awarded to third-party logistics carriers who meet the ISCPO Carrier Security Requirement, which is a combination of successfully achieving compliance of industry standards, risk management processes and universal controls between customer and service provider. 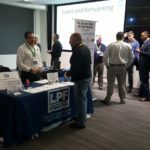 Past attendees of the ISCPO annual conference have said that its intimate and interactive agenda and venue enables a collaborative environment where professionals can partner with peers, discuss business trends, keep their fingers on the pulse, and discover new vendors. “By coming together under one roof, we can share knowledge and best practices so that we can protect our brands, people, and goods,” adds Smith. Individuals can register online at ISCPO.org. Early bird rates available (20% off regular rate available) until January 18, 2019. The International Supply Chain Protection Organization would like to announce the date of its 2019 Conference “The Evolution of Ecommerce Security”, 7-Eleven Store Support Center in Irving, Texas on March 6th – 7th. There will be a wide-range of topics related to global supply chain security, industry trends and investigations.